Tooth decay is the result of accumulated harmful oral bacteria that affects the overall health of the teeth and gums, causing cavities and other problems in dental health. This condition develops when the teeth are not properly cleaned on a regular basis, or when plaque develops just beneath the gum line, causing weakening of the teeth and gums, and encouraging the proliferation of harmful bacteria that can weaken and damage the structure and enamel of your teeth. While tooth decay is not considered a reversible condition, it may be halted and treated to protect the future health of your teeth and gums. 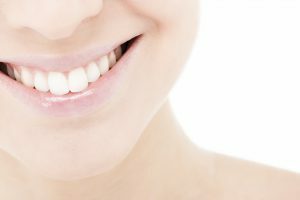 At Dr. Q Dental, serving patients in Monrovia, we provide holistic treatments for tooth decay, which include dental procedures to stop and/or reverse any damage, as well as nutritional and lifestyle recommendations to improve the overall condition of the mouth. As a dentist with a holistic approach, Dr. Q provides her patients in Monrovia with various treatments that effectively treat tooth decay. While damage cannot be reversed in many cases, tooth decay may be effectively halted by certain treatments such as extensive deep cleaning procedures that remove the build-up of plaque and bacteria below the gum line that are known to contribute to the problem. In cases where tooth decay has resulted in cavities, we provide fillings that halt the advancement of the condition to save the remaining tooth surfaces from the spread of cavities. We also recommend nutritional and lifestyle changes to improve the health of the teeth and gums, such as commitment to regular dental checkups, an intensive brushing and flossing regimen, the elimination of sugary foods and drinks, as well as unhealthy snacks from the diet. We may also prescribe medication such as antibiotics to halt any oral infections caused by tooth decay, as well as recommending effective mouthwashes and toothpastes to help diminish the presence of food particles and bacteria in the mouth. We will also recommend regularly scheduled professional cleanings performed every three to four months to eliminate the presence of plaque as well as harmful bacteria from the mouth. What Should I Do if I Suspect I Have Tooth Decay? If you are suffering from toothaches, cavities, bad breath, bleeding gums, or other conditions that may indicate the presence of tooth decay, it is imperative that you see a qualified dentist as soon as possible, and begin an effective intervention treatment to address, halt, and prevent the advancement of this condition. For residents of Monrovia, Dr. Q is among the area’s most respected dentists, providing compassionate and comprehensive dental treatments to address tooth decay and other maladies that may affect the health and appearance of your teeth and gums. To protect your teeth from further advancement of tooth decay, and contribute to a lasting, radiant smile, contact our office, serving residents of the Monrovia area, to schedule an appointment at Dr. Q Dental by calling (626) 599-9819.